to find out more about becoming one of the 3000 world wide SPEEDLINER™ Licensed Dealers. Don't be fooled! by cheap alternative or other liner systems. 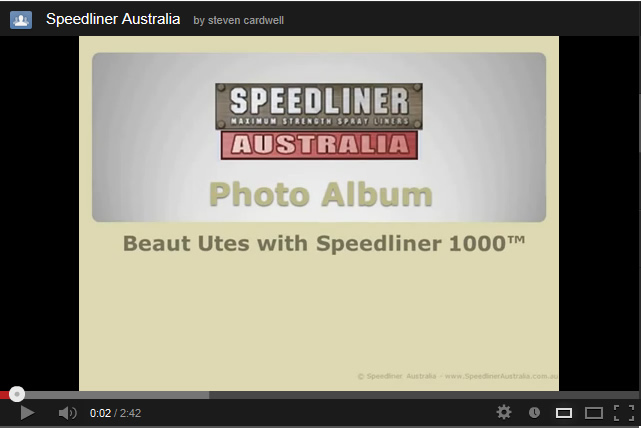 SPEEDLINER™ is now available across Australasia. Click here for dealer locations. to find out more about becoming a SPEEDLINER™ Licensed Dealer. Welcome to the Home of SPEEDLINER™ Australia! Whether you are looking for a spray on ute liner, tub liner, plastic ute liner or drop-in liner, SPEEDLINER™ should be on the top of your list as a must have item! SPEEDLINER ™ute liners is the true No 1 ute liner and spray-on protective coating unmatched in strength, maximum UV stability, colour range and long term performance. Being the world's toughest protective coating, SPEEDLINER™ performs where others fall short. SPEEDLINER ™ is now over 500% stronger than our nearest competitor. SPEEDLINER™ performs where others fail and no other liner system comes close. SPEEDLINER™ is waterproof and is highly resistant to most chemicals. It is the only product of its type that can be sprayed, rolled and brushed, allowing non slip additives to be easily added. SPEEDLINER™'s thickness can be applied from 1mm to 150 mm, whatever the application requires, making it's range of uses unlimited. SPEEDLINER™ can only be applied by a Licensed SPEEDLINER™ Dealer. SPEEDLINER™ in not a paint but one of the most high tech polymers available. All information on this web site is backed by independent testing. SPEEDLINER™ is the only liner system to freely provide this data. 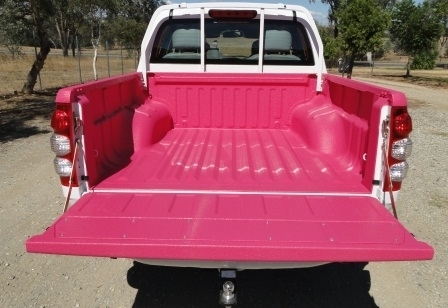 SPEEDLINER™ Australia provides a Lifetime International Material Warranty on all ute liners to the original purchaser. * Conditions apply. 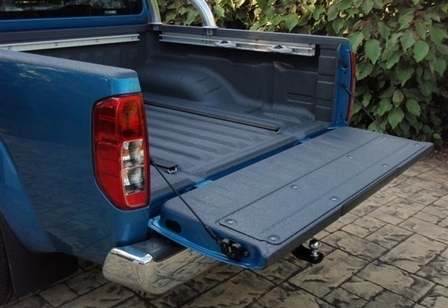 SPEEDLINER™ suits a wide range of Automotive Applications, including a ute liner that provides real protection for your vehicle. Using SPEEDLINER™ is an investment in your vehicle and not a disappointment like other liner systems. Mitsubishi™ Europe is so impressed with SPEEDLINER™ that it now comes as a standard accessory on all Triton L200 utes in the UK. SPEEDLINER™ is a preferred supply product to Toyota NZ, and was recognised by VW Australia for the new Amerok. SPEEDLINER™ can also be used in Marine Applications , due to its incredible durability under harsh conditions. SPEEDLINER™ is also used in a huge range of Other Applications including health facilities, hospitality work areas, army vehicles, floors, nonslip surfaces, horse floats, livestock trucks, water proofing, mine vehicles and 100's of other uses. SPEEDLINER™ offers a wide range of easily applied coating to suit a huge range of applications. Our products are famous for being the toughest liner system in the world today! Browse our products below to see which would be right for your needs. To see what is being done with SPEEDLINER™ in Australasia look at our Photos. There are Automotive , Commercial , Vans, Trailers & Livestock, Marine and Mining & Industrial examples to look at. SPEEDLINER™ comes in a range of 19 stock colours as well as the ability to use standard pigments. This means any SPEEDLINER™ product can be colour coordinated for any application. Look here to see examples of different colours used with SPEEDLINER™ SL EPIC, SL 1000, SL HC and Topcoat 6. Opportunities exist now for low cost SPEEDLINER™ Licensed Dealerships. Click here to find out more or Contact Us today. SPEEDLINER™ can only be applied by a Licensed SPEEDLINER™ Dealer. To get SPEEDLINER™ sprayed on your car, boat or commercial premises then click here to find out the location of your local SPEEDLINER™ Licensed Dealership today. Take note! Speedliner is not like any other liner system on the market as it is an entirely different product and does not suffer from the performance failures of other liner systems. Don't be fooled by lesser alternatives. Here's the proof that SPEEDLINER™ is the world's toughest spray-on liner.